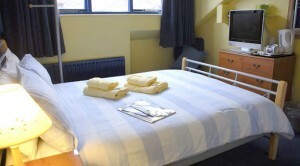 A very well presented Double Ensuite room with fell views. The room contains one double bed. A very well furnished guest room with colour TV, hospitality tray and welcome pack.